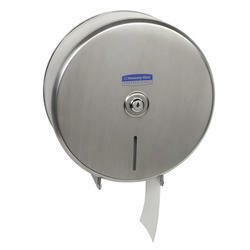 We are providing a cost effective range of Roll Tissue Dispenser that is sourced from authentic vendors. long lasting & tough ABS body, pilferage proof locking mechanism and low maintenance make our range a best choice for hotels and restaurants. To ensure total hygiene, rolls of this dispenser are individually wrapped. We offer roll tissue dispenser in various lengths to suit different client’s requirements. 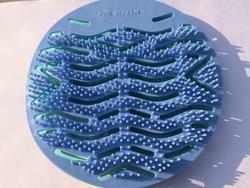 Gel Fragrance Urinal Screen Features : Eliminate unpleasant odors which are caused by using public urinals. 30 days non-stop release fragrance Anti-splash- Innovative anti splash pillars texture to keep urinal area clean and splash free Flexible to fit different urinals Eco-friendly and biodegradable material. Various fragrance available- Mango, cucumber melon , apple cinnamon, strawberry, orange, herbal mint. Customized logo and design are welcome. 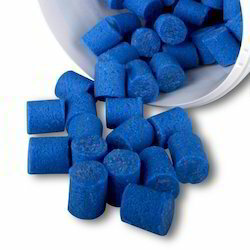 Used in public urinals, hotels, resorts, real estate, offices. 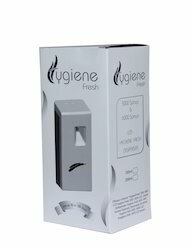 Hygiene Fresh dispenser is an automatic air freshener dispenser that emits fragrance from the refill installed inside the dispenser and gives refreshing environment. Designed to provide automatic dispensing that continuously protects your environment against unpleasant malodors. •Customer satisfaction - Good Quality Dispenser with lowest price with advance technology which will maximizes odor control effectively and keeps the environment odor free which will work 24 by 7. •Cost efficiency – The setting of Hygiene Fresh Dispenser can make the refills last up to 180 days. Moreover, you can decide how often the system automatically dispenses cleaning solution, making the refill last even longer. •Settings - Hygiene Fresh Dispenser is having easy settings. Designed accordingly to the need of the consumables. The Dispenser settings are such that will helps in lasting of the refills for longer days. •Color- Dispenser are available in different color and pattern which can look great on any colored wall. •Technology - The system has an in built automated system that is able to release a dose of cleaning solution on a timely basis, this is made possible by the advanced programming technology built into the system. LED Screen which will indicate the settings. •Maintenance - It is Easy to Clean . It is Durable. The Battery used is 2 C batteries. •Installation - Easy to fix in the wall and easy to install the refills. •Country of Origin - Manufactured by Hygiene Fresh. •Locked - The dispenser is locked and has a key to open. Easy to open with the key. Looking for Bathroom Fittings and Accessories ?